If you use a fire extinguisher in a public/business context (in a shop, office, restaurant, hotel/B&B...) then you're obliged by law to indicate the location of a fire extinguisher with a pictogram that is hung above the fire extinguisher. You must also hang up evacuation pictograms at each fork and turn on the escape route. An extinguisher pictogram is not required for private situations, e.g. at home. 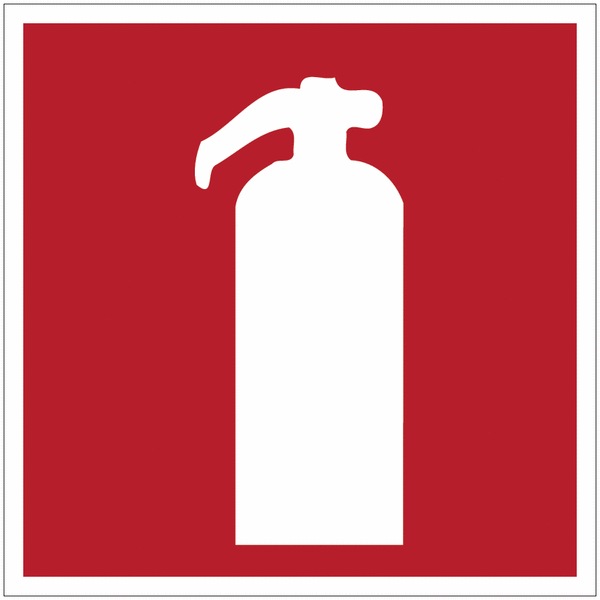 Below is a standard fire extinguisher icon.